The high, soft pitch shot is very useful when you have to carry a bunker or swale around a green. This shot does take practice but I will share with you some keys to work on. The swing I am making is for a 20 yard carry. 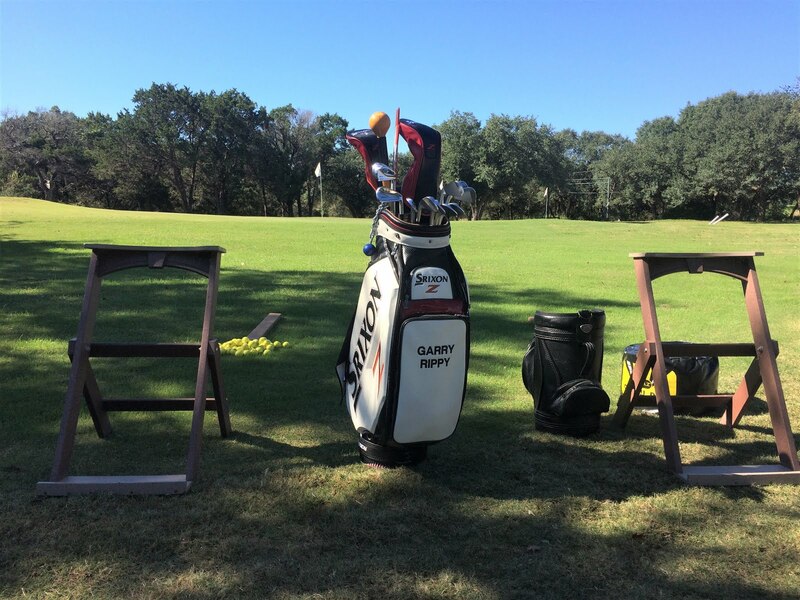 I will use my most lofted wedge for this shot (58-60 degrees). You do not have to open the face for this shot. With the correct wedge and technique you will have plenty of elevation on the shot. Set Up- Your stance should be about shoulder width apart with the ball positioned between center and the inside of your front foot. Your feet will be square to your target but angled slightly toward the target. Open your hips slightly and this adjustment in combination with the right foot turned inward will prevent a sway and help you bring the club back to the bottom of the ball. Your hands will be positioned slightly ahead of the ball. Backswing- The swing starts with the arms and then the hands will hinge upwards. The hinging action helps to flight the ball higher. The motion should be smooth from start to finish. With a little practice you will feel how much swing is needed to carry the ball the correct distance. Keep in mind the swing shown is used from 20 yards and closer to the green. As you move further away there will be more arm, shoulder and foot movement. Finish- The length of the finish should closely match the length of the backswing. In other words, the club does not stop right after impact as it does for a pitch and run shot. Let the momentum carry you to the finish. Since this was a 20 yard pitch, my right heel does not leave the ground. As the shot gets longer, there will be more of a weight shift on the follow through. At impact, the goal is to strike the ball and turf at the same time. My recommendation is to find your baseline swing for a 20 yard carry. Once you get this feel, then you will be able to alter the length of the swing to vary the carry distance. The firmness of the greens and slope will determine how much roll you will have after landing on the green. You will need to pay attention to this detail when you practice. Also keep in mind a four piece golf ball will stop more quickly than a two piece. 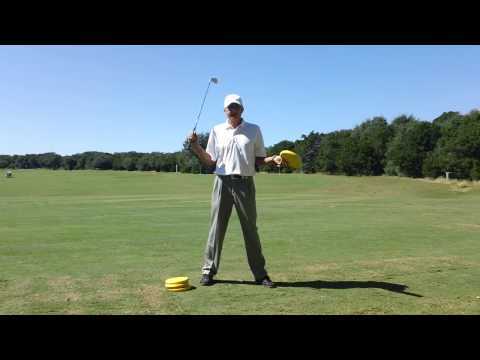 I teach this shot and many more in my short game series instruction program. If you go back a few posts and review my post on chipping, you will discover I feel the chip swing is always the same length. When chipping, I always try to land the ball just onto the green and let the ball run to the hole. The loft of the club you are using to chip with will determine how much roll you will have. With this thought in mind, you will chip the ball when you are within one to four yards from the edge of the green. If you get in the zone from five to ten yards from the green this presents an opportunity to pitch and run the ball to the hole. When you are in this zone, it is difficult to make your chip swing and get the ball to land on the green. Now, there are times when you may chip and run the ball; for instance, if the hole is cut very close to the edge of the green and you are in the five to ten yard zone, you may chip the ball through the fringe. We will discuss this in a later post. Back to the pitch and run. For the pitch and run you will use your wedges (50 - 60 degree loft). The more run you need, the less loft you will use. The set up for the pitch and run is just like that of a chip shot. Note the ball position is located off my right big toe. My hands are located on the crease of my pants. This set up keeps the flight of the ball low and encourages more roll after landing on the green. My goal when hitting the pitch and run is to land the ball approximately two paces onto the green. This provides me a little margin for error. If I miss my target by a pace, I will still end up with a pretty good result. my hands travel just past my right leg and the club is parallel to the ground. The follow through for the pitch and run is like that of a chip shot. Note how the shaft and my left arm are in alignment. This finish will produce a low flight and more roll out. ﻿﻿I always strike the ball first and then the turf when hitting a chip shot and the pitch and run. I find it helpful to take a practice swing before executing the shot just to get a feel for the turf. I will discuss the high, soft pitch shot in the next post.